Wally Wilson has a full schedule on tap, as he is set to run all of the Queenston OSCAAR Modified events in 2019. Though he isn’t ready to let go of his roots yet, electing to compete in a partial Outlaw Midget campaign as well. The Midgets are something that has attracted him back in knowing that they are one of the strongest classes in Ontario. Entering the year, he is hoping to be a consistent front runner, with results possibly increasing the goals outlook. The limited schedule will see Wilson hit a variety of tracks, including Full Throttle Motor Speedway, marking his first trip to the bullring since 2015. “It’s a tight bullring that anyone has a shot to win at,” he said. 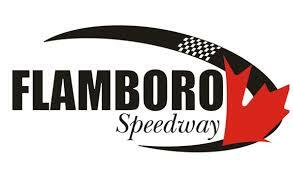 “I’ll also be making my return to Flamboro Speedway in a Midget, and I’m very excited for that because we had such a good run there in 2016! Last year, Wilson showed speed in his limited outings with a heat victory and a couple top-10 finishes. He feels the key to breaking through for a victory in 2019 will be continue working at making his program stronger, while ensuring the car stays together without any fluke finishes. Ahead of the 2019 season, Wally Wilson will be appearing at the Motorama Custom Car and Motorsports Expo, signing autographs in the Peterborough Speedway booth on Sunday, March 10 at 1pm. Details on the show can be found at http://www.motoramashow.com. Wilson’s full list of marketing partners will be announced in the near future.